@SuperSl1nk has announced yesterday via Twitter that he has found a couple vulnerabliities in Barracuda’s official site. In the tweet he included a Pastebin link with urls to the vulnerabilities and an image. Here is a small snippet of the Pastebin post, which also included Barracuda’s subnets and all their IPs. Industrial espionage is wrong, this is a warning. The information we hold could close your business. If you do not remove the backdoor all your other products. We will make public your information. 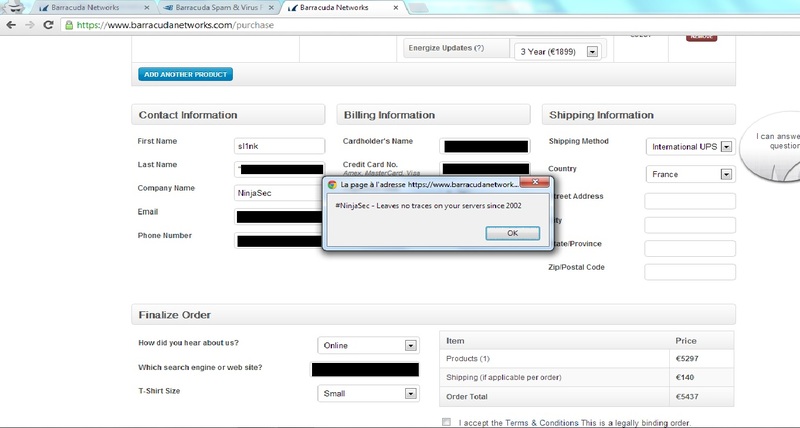 Vulnerability of your Website: XSS DOM Based, Upload. 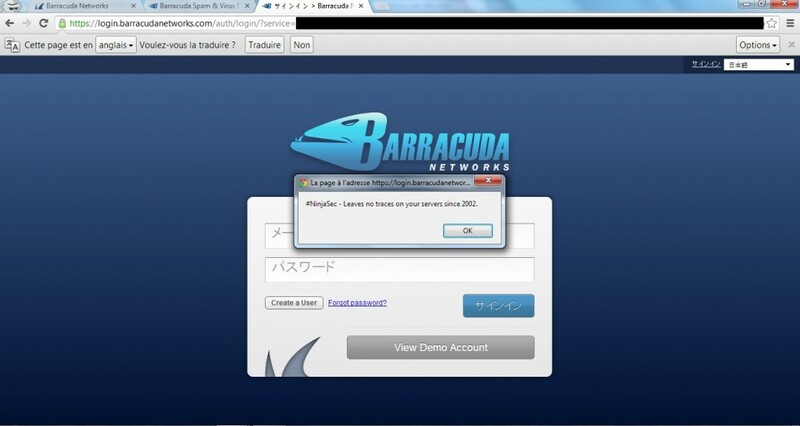 DNS Servers for barracudanetworks.com: ns2.p23.dynect.net ns3.p23.dynect.net ns1.p23.dynect.net ns4.p23.dynect.net ** Found 90444178360.barracudanetworks.com at 64.235.144.254. Owner of ZeroSecurity, interested in programming, malware analysis and penetration testing. If you would like to write for the ZeroSecurity team, please use the contact form above. Any information or news you'd like to submit? Use our contact form!